We’re working with Energy Revolution to tackle the environmental impacts from our travel to events. Travel is typically the largest contributor of carbon emissions at UK festivals so it’s a key place to start making the live events industry more sustainable. 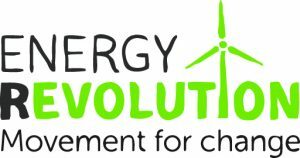 Energy Revolution is a charity that helps festivals, audiences, suppliers and artists to act on climate change by measuring and reducing fossil fuel travel and balancing unavoidable emissions a with direct investment in projects that create clean renewable energy. As an Energy Revolution member we will record our event travel and donate to balance our fossil fuel miles. 100% of all donations go to generating renewable energy; powering projects such as wind turbine and reforestation in India, community owned solar and wind across the UK as well as helping schools install solar panels on their roofs and educate children about the importance of clean energy. 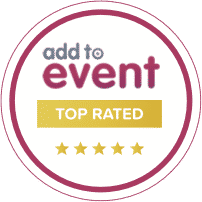 Energy Revolution works with over 40 of the UK’s best-loved events, including Boomtown, Shambala, Download, Reading, Wilderness, Kendal Calling, Bluedot and Port Eliot. Together Energy Revolution’s members have balanced over 8.3 million fossil fuel travel miles since 2015! We’re working with them to help reach their target of 10 million miles by 2020.